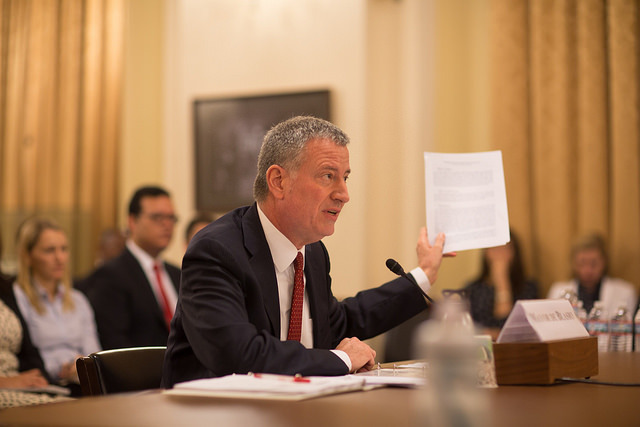 The investigations into Mayor Bill de Blasio’s administration have cost the city $10.5 million in outside legal defense spending so far, and might cost millions more, said Corporation Counsel Zachary Carter at a City Council preliminary budget hearing on Monday. Carter noted that the investigations involve an area of practice “particularly sensitive to conflicts of interest” and dozens of witnesses, some of whom insisted on independent counsel, thus the hiring of at least 11 outside law firms for the legal defense. He also estimated additional costs for the next fiscal year, which begins July 1, but insisted they would not be substantial. “I don’t believe that it will be a large magnitude of expenditures,” he said, predicting that the investigations are winding down. Late last month, the mayor sat down with federal prosecutors for a four-hour interview, which many saw as a sign that the U.S. Attorney’s office was nearly done with its probe. The mayor also met with the Manhattan District Attorney’s office weeks prior to that. The mayor’s own legal fees are not being paid by taxpayers; he plans to set up a legal defense fund to pay the bills he has accrued. Carter could not provide an exact dollar amount for the expected costs as the investigations wrap up, but he said that there may be “an additional seven-figure expenditure” for the department. 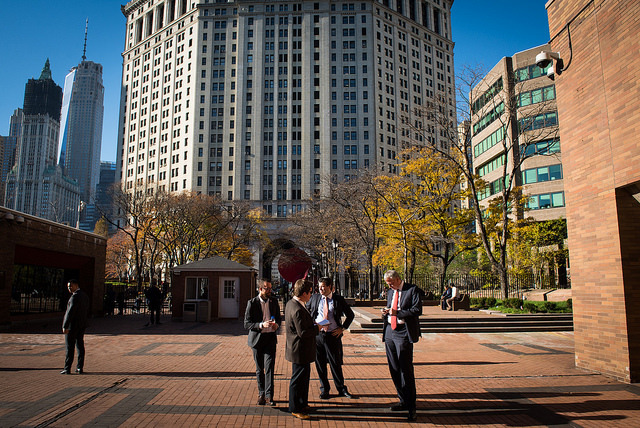 Council Member Kallos noted at the hearing that the city’s budget for judgements and claims resulting from lawsuits for fiscal year 2018 is $720 million, and projected to increase to $740 million by fiscal year 2021. It’s an issue Kallos has raised for years, pushing the administration to reduce the amount of money it budgets for lawsuits by instead rectifying problems that are sources of constant claims against the city. City Comptroller Scott Stringer has taken aim at the issue in two annual reports, the most recent released Feb. 10, that include a data-driven approach to reducing preventable lawsuits. For instance, Stringer’s report noted the five costliest personal injury claim categories that accounted for 78 percent of all personal injury settlements and judgments in fiscal year 2016: civil rights claims ($158.0 million), medical malpractice claims ($101.1 million), police action claims ($100.6 million), motor vehicle claims ($89.7 million), and sidewalk claims ($31.8 million). In response to Kallos’ concerns, Carter noted that the department has a risk management unit that specifically advises the city on recurring themes in the types of claims made against employees and agencies. The department does not, however, create reports on that unit’s work with different agencies to mitigate risks. Carter also noted that “a handful” of large settlements from lawsuits spanning years can “distort” the judgements and claims budget, which has remained otherwise relatively level. For instance, per Stringer’s report, in fiscal year 2016 four settlements from old cases against the NYPD totalled $76.7 million or 27 percent of the $279.7 million payouts by the NYPD. The City paid out $629.5 million in total for claim settlements and judgments that year. In 2016, Carter said, there were 32,640 claims filed against the city. Kallos also made another push for performance budgeting, or tying the allocations for key initiatives and programs to quantifiable results. Carter was supportive of the idea. “I agree with you that we should use performance measures and we’re certainly willing to provide statistical information that actually presents an accurate picture of the progress being made to reduce judgements and claims,” he said.